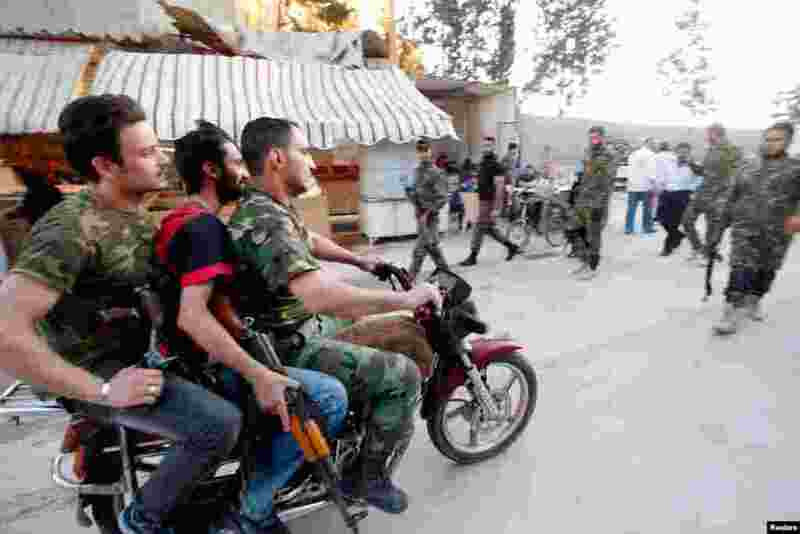 5 Shi'ite fighters ride through the Sayeda Zainab area of Damascus with their weapons, May 28, 2013. 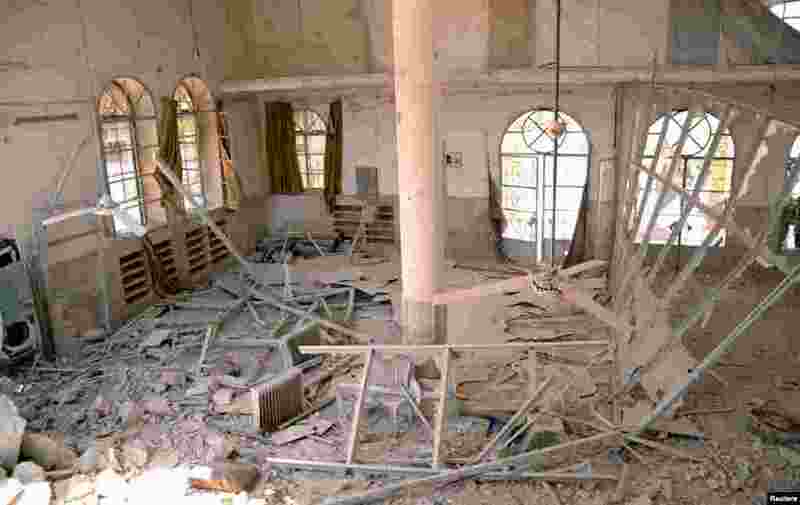 6 The inside of a damaged mosque in Dahra Abd Rabbo village, Aleppo, May 27, 2013. 7 U.S. 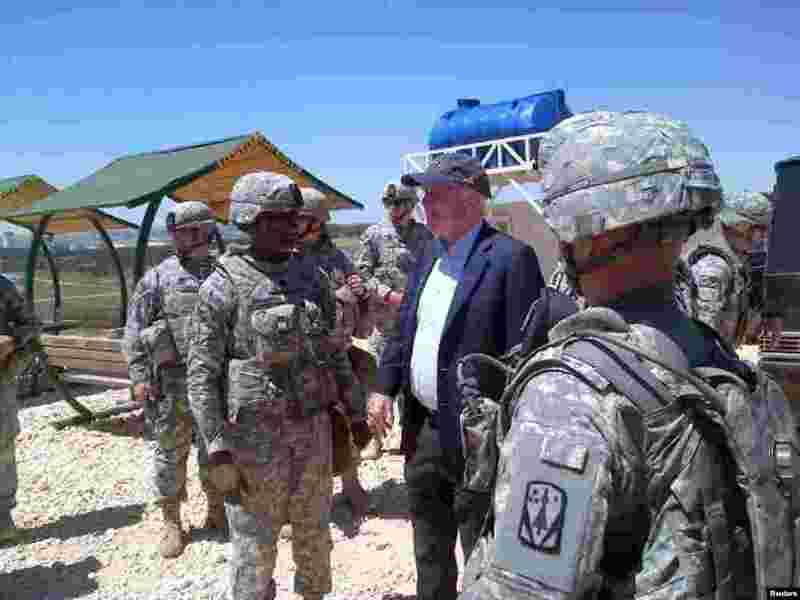 Senator John McCain meets with U.S. troops in southern Turkey, May 27, 2013. He also visited rebels inside Syria. This picture was released on his Twitter account. 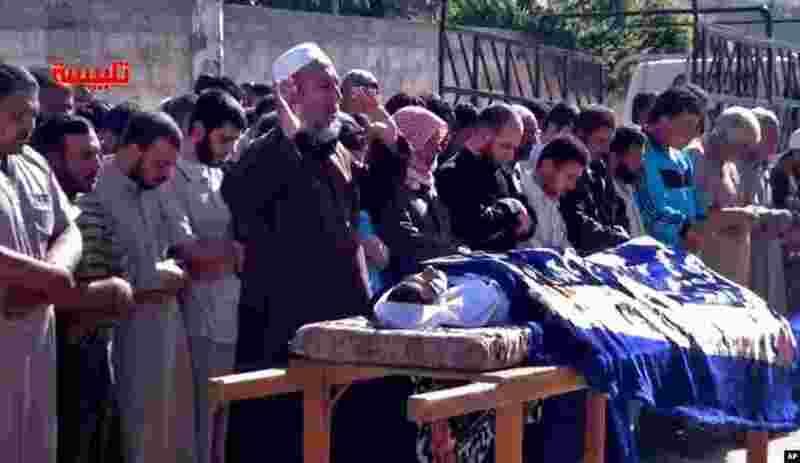 8 Syrians participate in the funeral prayer for Youssef Ghazi al-Sarmani, who was killed in fighting between rebel and government forces, May 27. The logo in red reads "Talbiseh".